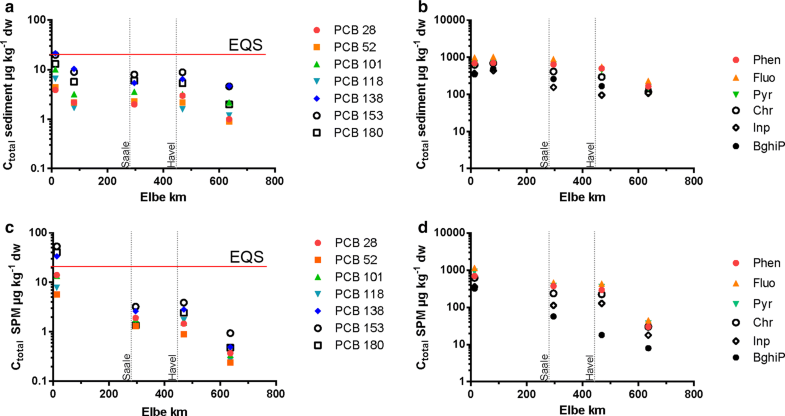 Ctotal of PCBs and PAHs in sediments and SPM was in the same order of magnitude as results from other studies on the Elbe [15–18]. 12302_2018_159_MOESM1_ESM.docx Additional file 1: Table S1. Biometric data and information on the tissue treatment of the sampled fish. Table S2. Sampling stations in the German part of the River Elbe including the station name, river km, matrix (sediment or suspended particulate matter (SPM)), the geographical position (latitude, longitude) and the sampler. Sediment samples were collected in July and SPM in September 2014. Table S3. Ctotal of seven PCBs in sediment samples from the River Elbe in µg kg−1 (dw). Table S4. Ctotal of PAHs in sediment samples from the River Elbe in µg kg−1 (dw). Table S5. Ctotal of seven PCBs in SPM samples from the River Elbe in µg kg−1 (dw). Table S6. 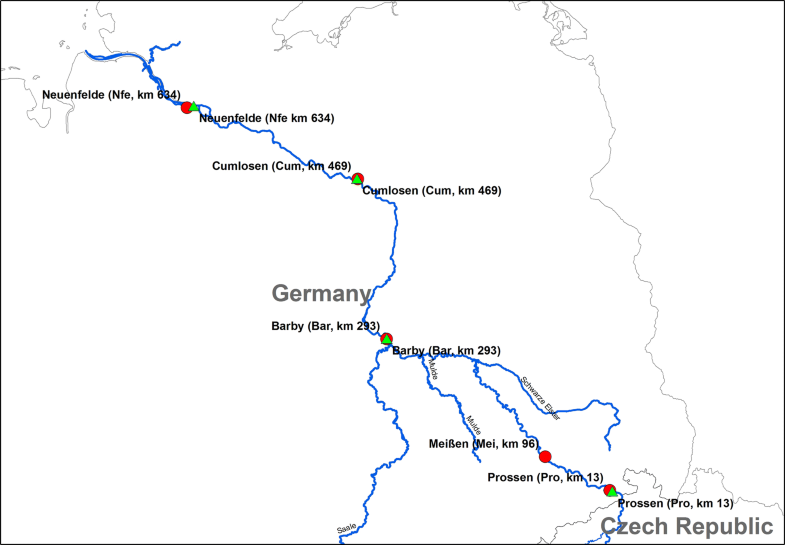 Ctotal of PAHs in SPM samples from the River Elbe in µg kg−1 (dw). Table S7. Cfree of PCBs in sediment samples from the River Elbe in pg L−1. Table S8. 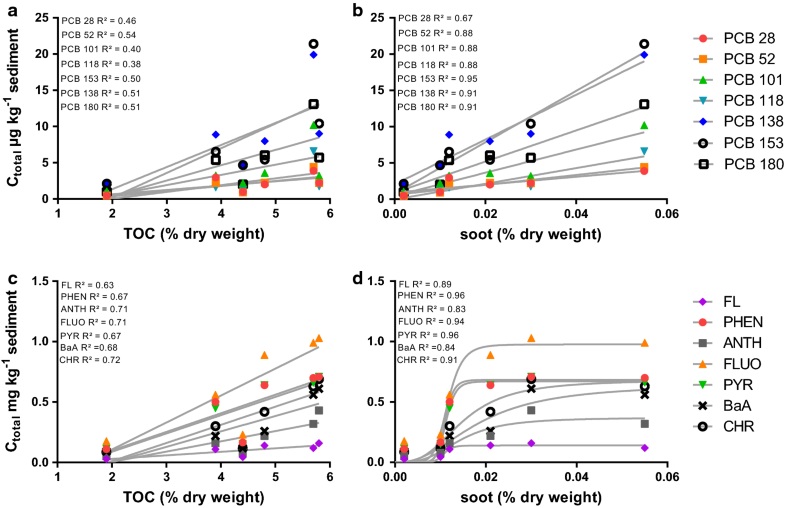 Cfree of PAHs in sediment samples from the River Elbe in pg L−1. Table S9. 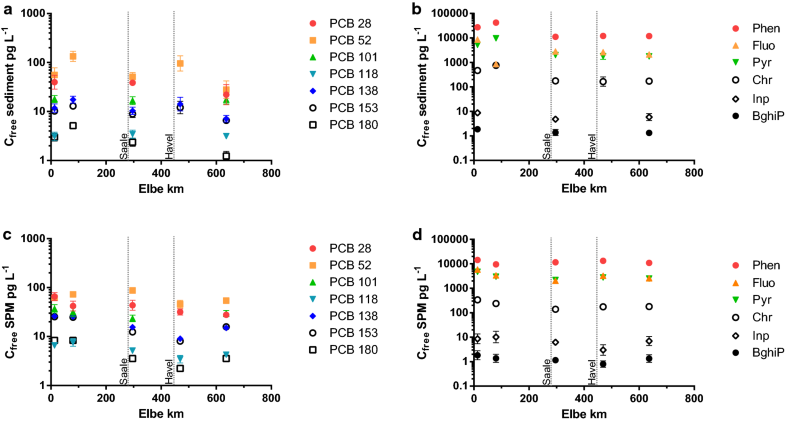 Cfree of PCBs in SPM samples from the River Elbe in pg L−1. Table S10. 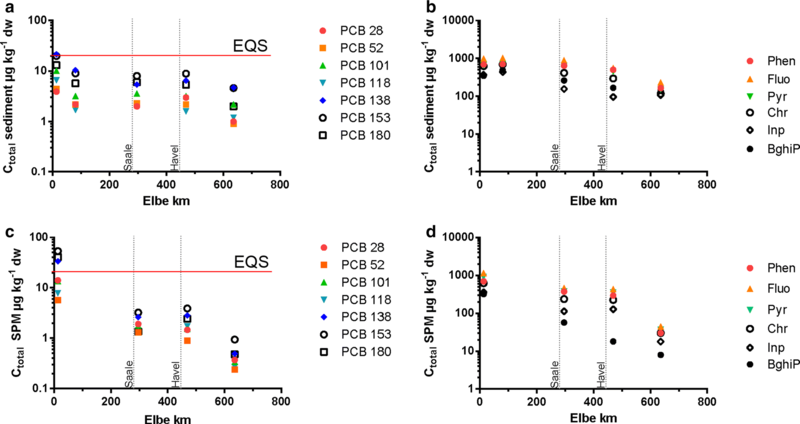 Cfree of PAHs in SPM samples from the River Elbe in pg L−1.